Grout in a tile is not good. It can be home to many creatures that can make your loved ones sick. It can also be the root of odour that makes it difficult to stand for a moment in the affected area. Tile cleaning and grout sealing will help you tackle all the above-mentioned issues in addition to achieving slip resistance. A professional grout sealing service will provide a superior look to your old tiles within record time. You can also perform the job of tile sealing at home. Here is a stepwise guide that can be used to perform tile cleaning and sealing at home. This guide will also help in supervising the technicians providing grout sealing service to you. Your Grout sealer will come with a small foam brush, if it is not in the kit, please arrange the one for tile sealing process. Please be advised, the professional grout sealing service includes charges of tools and materials so you don’t need to pay anything additional. 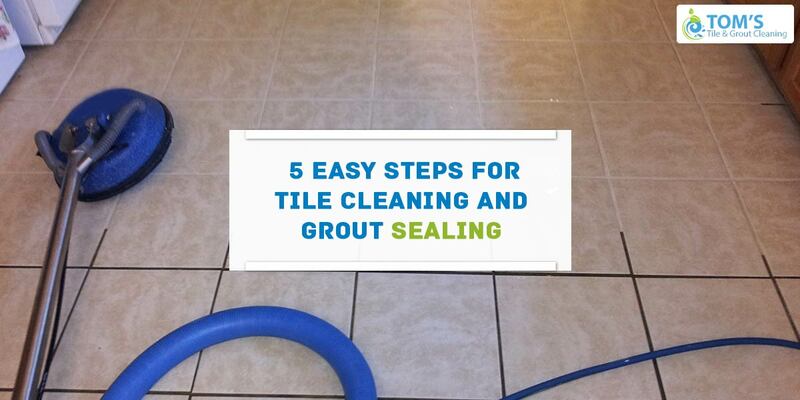 Here are 5 easy steps for tile cleaning and grout sealing. These steps should be used first for horizontal lines. 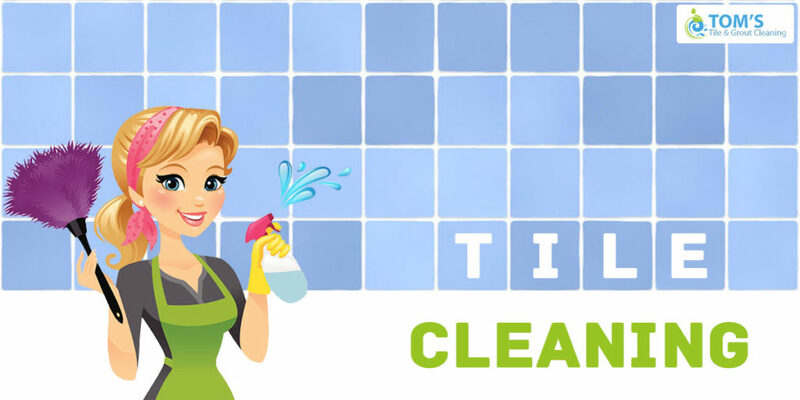 Use dishwashing liquid, water and sponge to clean the tiles first. You must clean all dirt, dust, adhesive and grease from the grout. After cleaning, you need to wait until it gets dry. Before applying sealer, you need to mask the tiles on each side of the edges along with any other material and surfaces that are nearby with masking tapes. It will assure the sealant have straight edges when you finish sealing task as well as it will protect tiles and other nearby things. Wear glasses and gloves first for safety. Shake the grout sealer bottle well and then apply the sealant along the grout using a foam brush. Apply it in thin coats so it can penetrate in. After 1 coat, leave it for 30 minutes. After 30 minutes, apply the grout sealer again by repeating the same process. Now, this is time to remove the masking tapes from tiles and other things on which you had applied masking tapes. Use a dry cloth to remove any possible bits of sealant to polish the tiles. Remove any possible excess grout sealer from the tiles before it cures using a dry cloth or sponge.Once you are done with all horizontal lines, now mask verticals tiles and properties with masking tape and repeat steps 3 to 5. Once you are finished with the grout sealing, let it dry before using it. If you have performed grout sealing between floor tiles, it will take 4 to 6 hours. If you have performed grout sealing in toilet or shower, it would take up to 72 hours. Test whether the grout is properly sealed before you start walking on the floor or using the shower. Splash some water on to the area you have sealed. If the job is properly done, the water will puddle over it. That’s it and you’re through sealing the Grout. If this sounds like too much work or if you think you failed at it, then call in Professional Tile and Grout cleaning and sealing services in your city.